This engaged group of researchers, business people and international speakers will be showing how New Zealand science and innovation can develop nutritious foods for the benefits of NZ businesses and consumers, to further grow the vibrant New Zealand Food and Beverage sector, and to enhance the export revenue the country earns from high-value foods that people choose to maintain their health and wellbeing. “We are extremely privileged to have four internationally recognised leaders in High-Value Nutrition as our keynote speakers at Foodomics this year, as well as our own internationally recognised experts in digestion, immune health, diabetes and infant health,” says Challenge Director, Joanne Todd. Professor Rob Knight from UC San Diego, Julian Mellentin of New Nutrition Business, Professor Nicholas Talley from the University of Newcastle and Dr Jim Kaput, of Vydiant Inc will all share their significant research findings over the course of the three-day conference, along with a host of other globally recognised top researchers. “The scientists we have presenting at Foodomics this year are working on very innovative science, which will lead to a profound impact on how businesses can leverage science to grow the high-value foods sector and impact the health of consumers both in New Zealand and internationally,” says Professor Richard Mithen, Chief Scientist for the High-Value Nutrition Challenge. The conference is being held at the Cordis Hotel, Auckland, from 9 – 11 April 2019. High-Value Nutrition is the New Zealand National Science Challenge with a mission to grow the science excellence and knowledge New Zealand needs to create and deliver foods to the world that people choose to stay healthy and well. The Challenge team brings together researchers from multiple New Zealand Universities and Crown Research Institutes, in a collaboration designed to create world-leading science, with real world impact. To date, the High-Value Nutrition National Science Challenge has invested more than $20m in research aligned to four key nutritional health platforms: Digestive Health, Immune Health, Infant Health and Metabolic Health. High-Value Nutrition’s strategy is to work in partnership with businesses, to transform New Zealand from a producer of commodity foods into a trusted and innovative source of high-value foods that consumers in our key markets choose to buy to support their health and wellbeing. During the first phase of the High-Value Nutrition National Science Challenge (2014 – 2019), the research teams and their industry partners were focused on the development of new methodologies and biomarkers intended to show the health benefits of foods in targeted areas, such as Type 2 Diabetes and Functional Gut Disorders. 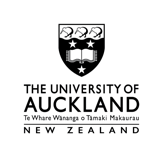 The focus for 2019-2024 will be on human clinical studies of food and beverage interventions in New Zealand, Singapore and China This approach will build on the strength of existing partnerships between Chinese and New Zealand researchers and agencies, which were recently reaffirmed in the Memorandum of Arrangement between the Ministry of Business, Innovation and Employment (MBIE) and the Chinese Academy of Sciences (CAS) Arrangement signed on 1 April 2019. Professor Rob Knight, UC San Diego, is the founding Director of the Center for Microbiome Innovation and Professor of Pediatrics and Computer Science & Engineering at UC San Diego. His lab has produced many of the software tools and laboratory techniques that enabled high-throughout microbiome science, including the QIIME pipeline and UniFrac. He is co-founder of the Earth Microbiome Project, the American Gut Project, and the company Biota, Inc.
Julian Mellentin, New Nutrition Business, is one of the world’s few international specialists in the business of food, nutrition and health. He is the founder of New Nutrition Business based in the UK. He has provided consultancy advice to global food companies, from Fonterra to Nestle. Professor Nicholas Talley, University of Newcastle, is the Pro-Vice-Chancellor of Global Research at the University of Newcastle. A leading figure in gastroenterological research, he was recognised as Australia’s most cited researcher by Google Scholar in 2017. Dr Jim Kaput, Vydiant Inc, is an expert on personalised nutrition. A distinguished research scientist, he is the co-founder of Vydiant Inc, a health care data analytics firm and has previously been the Director of Personalised Nutrition and Medicine at the US FDA’s National Center for Toxicological Research.